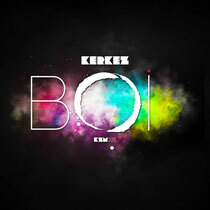 ‘Boi’ is the debut album release from one of Macedonia’s rising techno stars, Goran Kan aka Kerkez. Featuring recent single ‘Mandarin Orange’ Kan takes you on a techno and house journey infused with depth and soul. With ‘Boi’, Kan takes another important step in his artistic development that has seen him become one of the Macedonia’s leading DJs and producers. 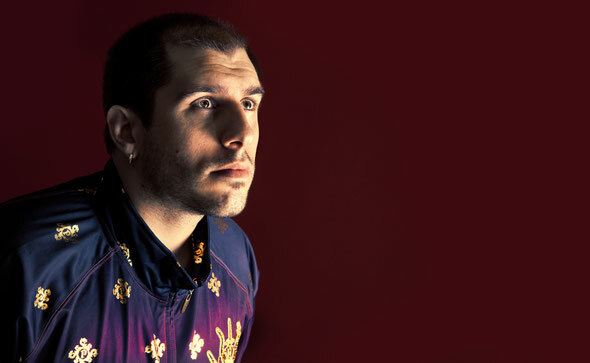 Goran Kan commenced his career as an electronic music artist in 1998 experimenting with house and techno music whilst his first residency developed in 2001 at the summer club ‘Havana’ in Skopje with his performances later extending across the Balkans, including the EXIT Festival in 2004. His productions have been released on numerous labels including Primal Force, SAF, Minisketch, Impact Mechanics, Flux, Logos, Artefact, Soul Access and Q Records. Adding to his repertoire, some of his remixes include Mark Broom’s 'Stutter’ on Soma, Goran Tech’s 'Don't Come Back’ and Goran Isic’s 'Belgrade At Night' whilst other projects include promotional ventures across Macedonia and the ‘Concept’ internet radio show which he broadcast together with Mark Williams across Macedonia and Italy. In recognition of his contribution to the Macedonian electronic music scene, Goran was awarded Macedonia’s Most Successful DJ prize in 2004. His future endeavours include the release of this, his first artist album, on his very own record label Kerkez Music and the preparation of some ve live performances. From the opening melancholic refrain of ‘Grass’ to the minimal bass driven groove of ‘Hot Hot’, Goran’s subtle nuances and deft touch create an organic flow to his tech-house vision. ‘Lemon’ bathes in the early hours of the rising sun, all shimmering keys and deep percussion whilst ‘Mandarin Orange’ is a soft and emotional, loungey house ride, where a solo flute theme drives the track along, over the guitar filler and a mix of percussion and vocal snippets. ‘Pink Elephant’ wraps itself around a deep, undulating rhythm, ‘Sky Was’ trips over an off-beat of enticing broken grooves and album closer ‘Wood’ sees Kan wig-out to a Chi-town house bump. Out 18th June.